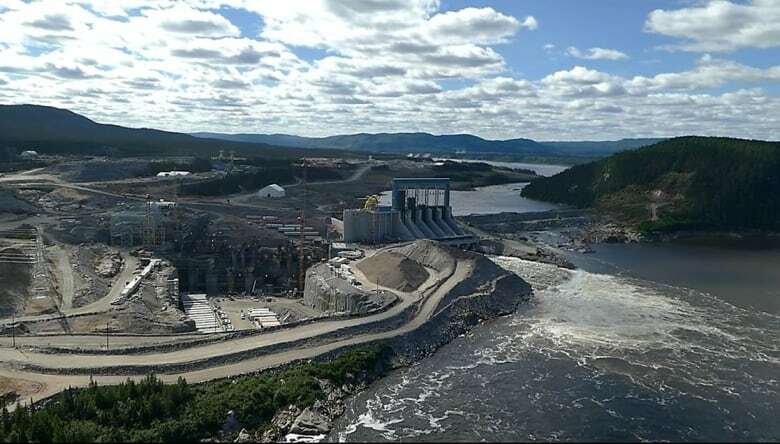 The federal government said Thursday it will increase its loan guarantee for the Muskrat Falls project. "We will guarantee up to an additional $2.9 billion in debt," Natural Resources Minister Jim Carr told the House of Commons. Carr was responding to a question from the Liberal member of Parliament for St. John's South-Mount Pearl, Seamus O'Regan. "Costs on the Lower Churchill project were mismanaged by former Conservative governments, putting Newfoundland and Labrador at financial risk," said Carr. "I am pleased to inform the House that we will guarantee up to an additional $2.9 billion in debt, using commercial terms of a guaranteed fee of a half basis point above the federal rate. Today's decision means we will contribute to our climate change goals, and Atlantic Canada's future energy needs." "The Government of Canada will also work with the province to provide immediate relief for its escrow account obligations as well as an extension to the timeline for debt repayment," Carr said in a news release issued after Question Period. Dwight Ball's government asked Ottawa earlier this year to extend the 2013 loan guarantee, which capped at $5 billion for the Nalcor-led portion of the project. Quebec opposed any increase, in a move Newfoundland and Labrador Minister of Finance, Cathy Bennett, called "unneighbourly" and "disappointing." Carr said he spoke with Pierre Arcand, Quebec's minister of energy, Thursday morning to inform him of Ottawa's decision. The cost of the Muskrat Falls project — that's been dogged with delays, cost overruns and protests over methylmercury contamination — has ballooned to $11.4 billion. That's an increase of $4 billion compared to projections four years earlier. "What the government of Canada has done today has offered [Newfoundland and Labrador's government] some interest relief on the long-term debt, and it's up to the government of Newfoundland and Labrador to manage the project and see it through to a successful conclusion," said Carr in a scrum with reporters. "The project is late, seriously over budget. That is impacting the financial capability of the province of Newfoundland and Labrador and we think that it's a responsible thing for the government of Canada to extend the loan guarantee ... as a way for Canada to help Newfoundland and Labrador during this tough time." The Ottawa announcement by Carr comes as Ball and his caucus head to Gander for the provincial Liberal annual general meeting this weekend. The terms of the extended loan guarantee are not as favourable to the province as the original — which allowed Newfoundland and Labrador to borrow at the same interest rate charged to the federal government. "There is a commercial component to the loan guarantee where we will apply a fee of 0.5 per cent above the federal rate, which I think is an important signal that this is done on a commercial basis," said Carr. The new guarantee will ensure that borrowing costs remain lower than what the province could qualify for on its own. In July, international credit rating agency Moody's downgraded the Newfoundland and Labrador rating from Aa2 to Aa3, saying the province will spend 12 per cent of its total revenue to finance its debt by 2020.